On the second day of the 2016 draft, John Schneider and Pete Carroll discuss the drafts made for the Seahawks. Seattle traded its pick at 124 in the fourth round to move up seven spots in the second round, from 56 to 49, to get the defensive tackle. 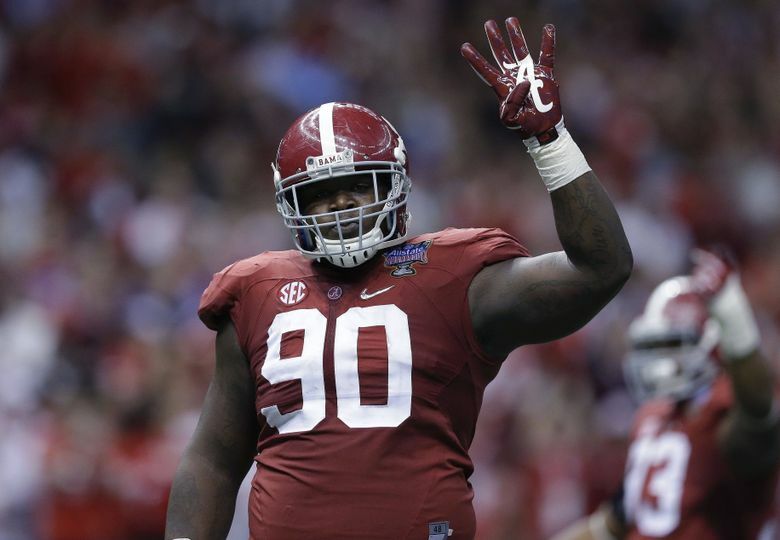 RENTON — Jarran Reed was stewing when the Seahawks selected him in the NFL draft Friday and Rees Odhiambo was cooking. Reed, a defensive lineman from Alabama who was the last of the 25 players the NFL invited to the draft in Chicago, and Odhiambo, an offensive lineman from Boise State who was making pot roast in the Seattle apartment of college teammate Marcus Henry, served as the bookends to the Seahawks’ Day 2 haul. 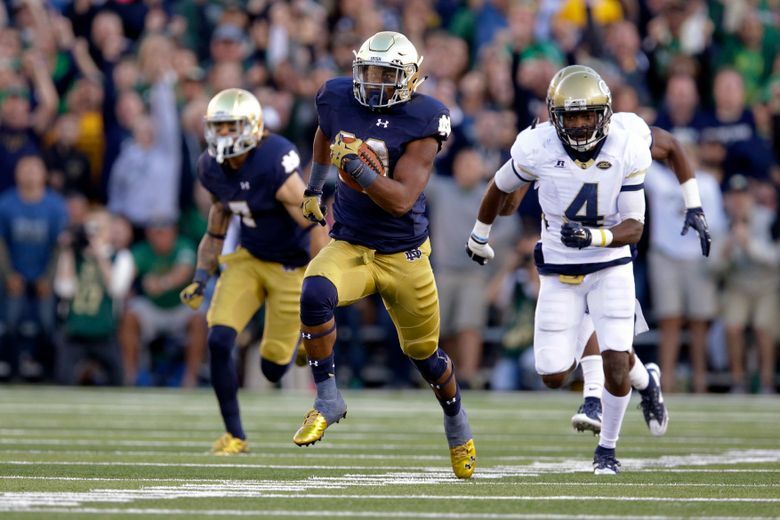 In between, Seattle drafted running back C.J.Prosise of Notre Dame and Ohio State tight end Nick Vannett. Each of the four was drafted to fill a specific role for the Seahawks, and in most cases to fill a specific hole created by an offseason departure. “I think it’s going to be a hell of a class,’’ said general manager John Schneider, whose team still has four more picks when Rounds 4-7 are held Saturday. 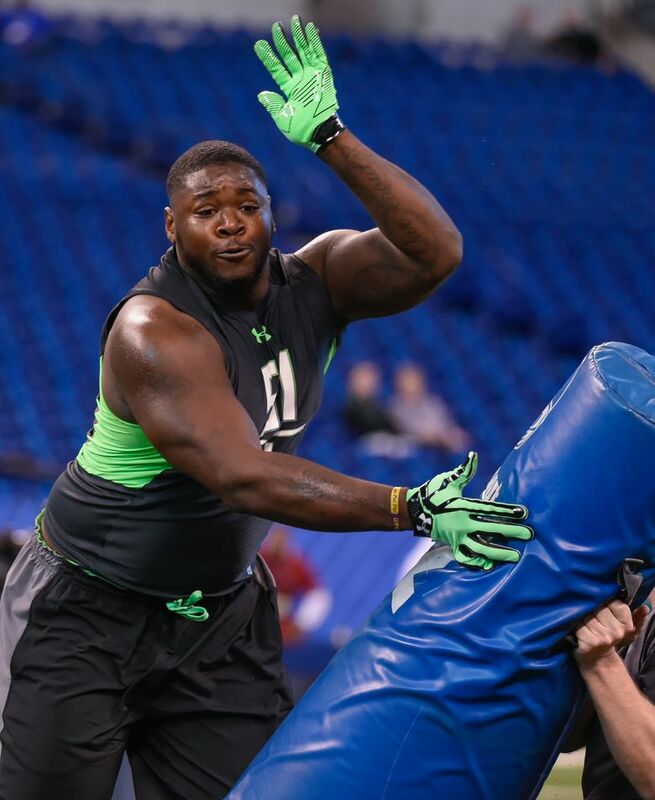 Reed was called the best run-stuffing defensive tackle available by coach Pete Carroll and Schneider. The Seahawks needed to replace Brandon Mebane, who signed as a free agent with San Diego. Schneider, in fact, said the Seahawks debated taking Reed with the 31st overall pick it used Thursday on offensive lineman Germain Ifedi and said they were two of just 26 players the team gave a first-round grade. When the Seahawks saw Reed falling in the second round, they made a trade with the Chicago Bears to swap second-round picks to move from 56 to 49, giving the Bears a fourth-round pick (124) in the process. Reed had met with the Seahawks, including Carroll, at the Senior Bowl and said he had a feeling they might take him. As he stepped on the stage, he waved a bag of a favorite snack of his, Skittles, which he said was also something of a homage to retired Seahawks running back Marshawn Lynch. The selection ended a long wait for Reed, who many viewed as possibly going in the first round. When: Rounds 4-7, 9 a.m.
Carroll said the team was “really surprised’’ that Reed was still available, and think the slide might compel him to work even harder to show he is worthy of a higher pick. “He wasn’t very fired up to be sitting in that room as long as he did,’’ Schneider said. 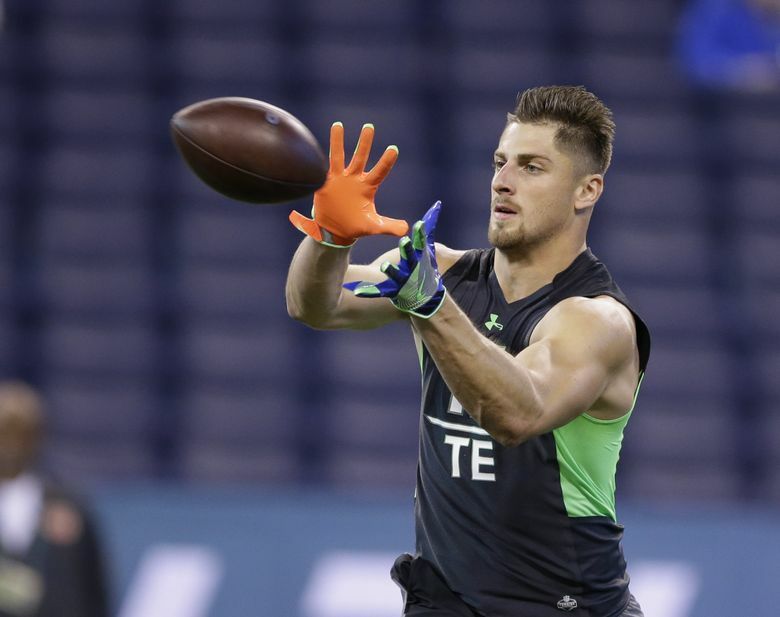 Reed began his career at a junior college and saw his time at Alabama get off to a rough start when he was arrested for DUI in the summer of 2014.But the Seahawks said they considered that a one-time mistake and were impressed with what they heard about Reed’s leadership on a national-title team. “He’s the alpha dog of that program,’’ Seahawks southeast area scout Jim Nagy said. In Prosise, the Seahawks got a player who also was a receiver at Notre Dame and could step into a third-down role that has in past years been filled by Robert Turbin and Fred Jackson. Vannett’s blocking will complement the receiving skills of Jimmy Graham and Luke Willson, and his addition helps serve as a hedge if Graham has any setbacks in his recovery from a patellar-tendon injury suffered Nov. 29. Willson also can be a free agent at the end of the 2016 season. Odhiambo was born in Kenya before coming to the U.S. in 2000 when he was 7. His father already had died by then, he said, and his mother died when he was 17. He also struggled through a slew of injuries at Boise State, where he was never able to play more than 10 games in a season. His injures included a broken left ankle in the eighth game last season (he has had surgeries on both ankles). “He’s a really talented guy who has had a string of bad luck these last two years and has lost both of his parents and has overcome a lot in his life, and we are really excited to be able to have our opportunities to get our hands on him and help him out,’’ Schneider said. Odhiambo he is healthy, and the team expects to play him at guard, where he can compete for a starting spot created by the loss of J.R. Sweezy to Tampa Bay in free agency. Though excited to be picked, Odhiambo said he wasn’t stressing about the draft. He said he wasn’t watching, instead concentrating on the meal he was making, when he got the call from the Seahawks. “When I heard who it was, I was so excited,’’ he said. So were the Seahawks, who have taken two offensive lineman, a defensive tackle, a running back and a tight end in a draft that looms as critical to keeping the team at a Super Bowl level.